WooCommerce is probably the easiest way to set up a storefront using WordPress. It makes managing your business’s store and payments simple. 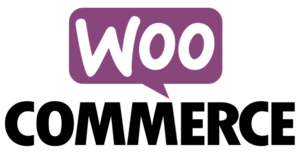 Because so many of our customers choose to use WooCommerce it was the first third-party plugin that we provided. It’s slug is “woo-gateway-wampei-bitcoin.” It is available on github. The plugin allows a store owner to leverage her Wampei Register© instance to accept Bitcoin payments as they would at the point of sale. You can also leverage plugins like woocommerce-payment-discounts to offer discounts for Bitcoin payments without a discount code. Some people like visual walkthroughs, others prefer descriptions. Choose your adventure below. 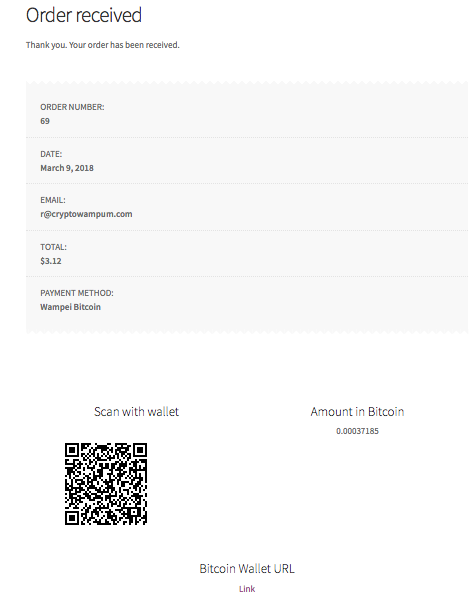 This plugin adds a Bitcoin payment method to your store. It requires that you have access to a Wampum Register© instance or white-labeled service that supports Wampei’s API. The plugin automatically converts the price from the currency you use to Bitcoin. Currently, the plugin only supports ONE CURRENCY per store. The one that your Wampei Register© instance is configured to use. Using Euros or Yen or anything is ok, but the setting will apply to all payments through your store. The beautiful thing about this plugin is that it integrates so nicely into your existing workflow. When the payment page is displayed, the system will send an email to the customer to make sure they can pay later if they don’t currently have enough bitcoin available in his/her wallet. You can also provide a link to the customer to purchase bitcoin from your favorite exchange or Bitcoin ATM. A “cron” job checks the blockchain at 20-minute increments to see the status of the payment and sends the receipt to the customer and order notice to the store owner, assuming this is your standard workflow. Note that this plugin has only been tested with WooCommerce 4.0 and later. You can configure the plugin via the WooCommerce settings pane. 2. Plugin in action on the payment page. You can see here that the Bitcoin payment method is here. You can name it in the settings pane. 3. Plugin in action on payment method checkout page. Note that the payer can use the QR code or copy the payment request to the clipboard.